Posted September 26, 2013 by admin & filed under Virtual Offices Miami Florida. Many businesses are using virtual office space to reduce overhead costs and have a professional image. There are many reasons why this type of outsourced service makes sense but financial considerations are often part of this. Virtual Offices are used by many companies but are especially useful to those downsizing, just starting out or expanding from a home office. Virtual Offices allow people to be located anywhere geographically but have a presence in a designated area. Quite a few of these virtual office services have a real mailing address for the client to use. Usually located in a prestigious area of the country or well-recognized city. This gives the client the look of a well-established company in a good area. Unlike small companies that operate out of a post office box, having a physical address can make clients and customers more at ease when first dealing with the company. The business can have its mail sent to the virtual offices and then forwarded or scanned and emailed. Some companies charge extra for this service while others include it in the package. It is also possible for clients to pick up mail if they are local to the area. 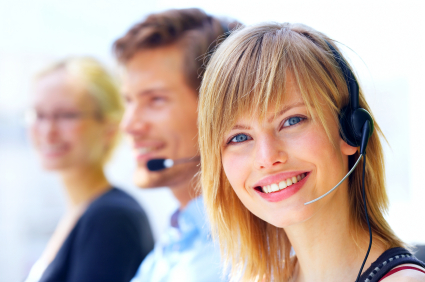 Some services also include a local and toll free phone number, call forwarding and live answering services. One of the benefits to using this type of service is the option of having a live operator answer phone calls in your company’s name. People can often obtain services that include Spanish-speaking services if needed. This ensures that clients and customers receive service from a real person instead of having to rely on a phone answering system or auto-attendant. The virtual office services receptionist can screen calls, transfer calls or take messages as needed. It is also possible to have the receptionist announce the caller before it is received. Live answering and auto attendant telephone systems can be configured to provide a range of custom greetings and messages. These can be ones that let the caller know that the office is closed, the person is unavailable or will be out of the office for a specific time period. Using a virtual office is a cost effective way to appear professional in the eyes of clients. This service costs a fraction of what it would to open a physical office or hire a full-time staff. Virtual Offices allow people to appear well established when in fact they may be residing in another country, city or only working part time. Businesses receive a range of products in these services. There are no requirements to run ads for staff members, conduct interviews, obtain drug tests or pay hourly wages. For these reasons virtual office space is becoming a more popular option for businesses.